Pumps are used for box or wet-dry filters. In the case of marine aquariums, they are sometimes used merely to circulate the water, or simply surrounded by a block of foam. Here is an example based on a 1,000 liters/hour pump model, capable of reversing the flow to a height of 1 m: In fact, a very slight curve should be visible, but the precision here is sufficient to see that the pump has a flow of no more than 600 liters/hour for transporting water to a height of 40 cm. 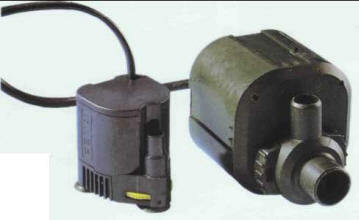 There are several brands of pump and various levels of power. The power level is calculated for the operation of a pump that does not raise the water level: the water is pumped and sent back to the same level. 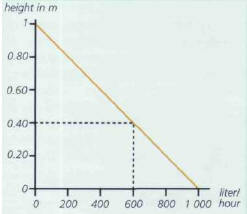 the maximum water height to which the pump can take the water, corresponding to a flow close to 0. In some rare cases, the directions for use will include a graph that makes it possible to calculate the real power corresponding to each height of flow reversal, but on most occasions you will have to draw this yourself. The real power of a pump actually depends on the height of the water. ОБСЕРВАЦИЯ , определение географических координат судна по наблюдениям объектов с известными координатами (береговые ориентиры, радиомаяки, небесные светила и т. д.). Периодические обсервации необходимы для проверки точности счисления пути судна.